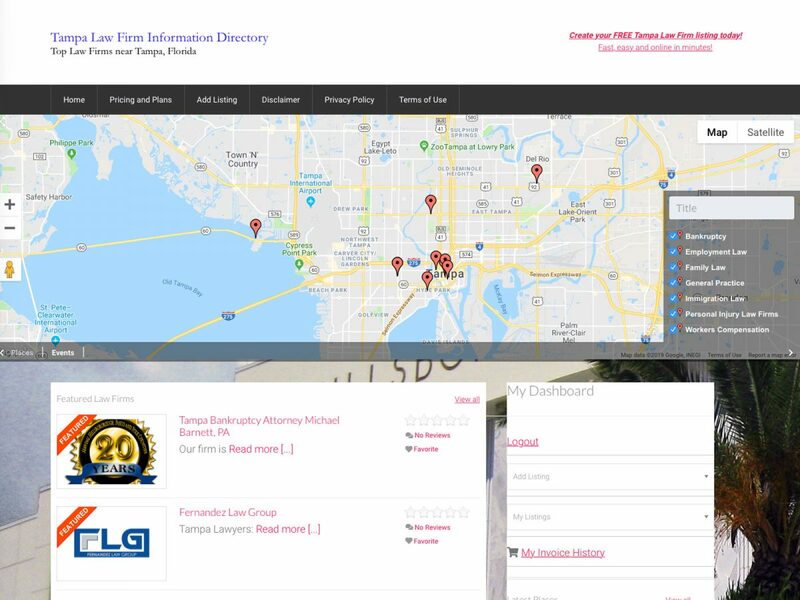 Tampa Law Firm Information Directory – Top Law Firms near Tampa, Florida. Create your FREE Tampa Law Firm listing today! Fast, easy and online in minutes!